In 2010, the American Society of Civil Engineers (ASCE) report card awarded American infrastructure a D+ grade. In order implement necessary upgrades, the ASCE estimates that a $3.6 trillion investment is needed by 2020. But in the wake of dwindling federal funding, localities must struggle to fund infrastructure through traditional public avenues or, increasingly, though public-private partnerships (PPPs or P3s). P3s have the advantage of bringing private capital to the table and freeing municipalities from undue risk. But are far from a perfect solution. Private entities are unable to borrow money as cheaply as governments can, which can result in higher project costs and discourage borrowing for long-term capital improvements. Project implementation governed by shareholder return, and not public good, raises concerns about adequate and equitable provision of services. 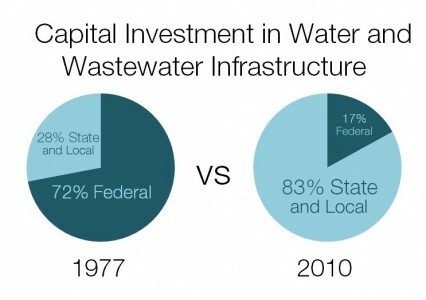 In fact, according to the article “Cities and Private Equity Firms Fight over Ownership of Water Systems,” dissatisfaction with rates and services provided by private water companies has resulted in 58 cities either taking or retaking control. In light of these limitations, states and municipalities are beginning to explore public-public partnerships (PPuPs) as a way to provide and maintain infrastructure. Broadly defined, PPuPs are partnerships between two or more public or nongovernmental agencies that pool resources and/or expertise in achieving a common goal. The most common incarnation of the PPuP is an international partnership in which developed nations lend expertise, logistical assistance and funding to developing nations for infrastructure development. 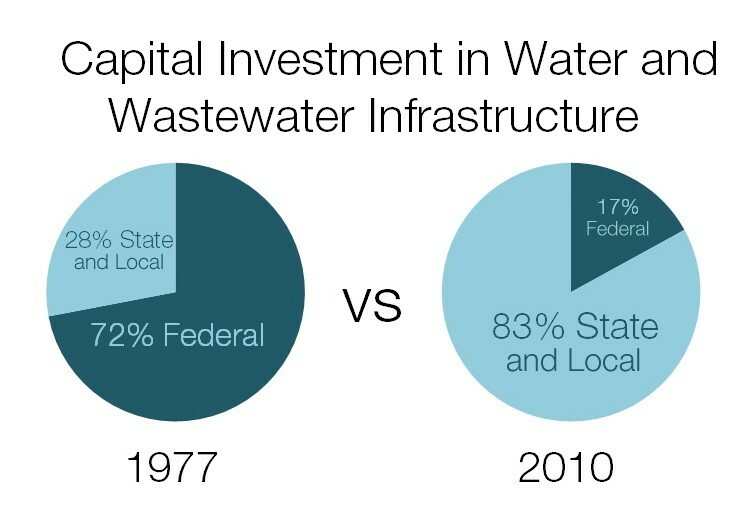 Leveraging cooperative purchasing power: According to the United States Environmental Protection Agency, of the approximately 159,000 community water systems in the United States, 94 percent serve populations under 3,300 people. The sizes of these systems makes it difficult to achieve the economy of scale in supplies and maintenance enjoyed by larger systems. But municipalities have begun to partner up and form purchasing cooperatives to help drive down costs. For example, a number of communities around Baltimore negotiated a cooperative purchasing agreement with the City of Baltimore, which, according to Food and Water Watch, resulted in $1.5 million in savings in 2010. Pooling funding and sharing infrastructure: Like many cash-strapped municipalities, Henderson, Nevada needed to find a way to make the most of its assets. The city developed a palette of partnerships among city agencies and nongovernment agencies to do everything from improving childhood literacy to constructing a new University campus. As reported by the Las Vegas Sun, Henderson officials devised a unique solution to providing a new aquatics center for municipal use. 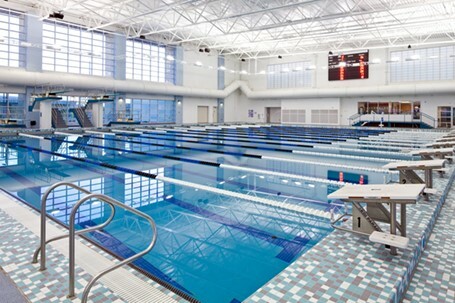 The center was constructed using capital funding from the Clark County School District’s budget. The school district will have primary use of the facility, but it will serve the community needs during off times. Symbiotic public contracting: With cuts to federal defense spending, the Presidio of Monterey Army Base’s shrinking operation budget was threatening to not only compromise base functions, but also destabilize the heavily dependent economy of the surrounding community. According to “Installation-Community Partnerships: A New Paradigm for Collaborating in the 21st Century,” the Army contracted with the city of Monterey to provide a range of services, including facility and street maintenance, HVAC repair and capital improvement projects. As outlined in the Rand Corporation report “Military Installation Public to Public Partnerships,” the base benefits from cost savings over the cost of private contracts and improved response times, while the city benefits from revenue generated through service contracts and expanded access to base facilities for community use. 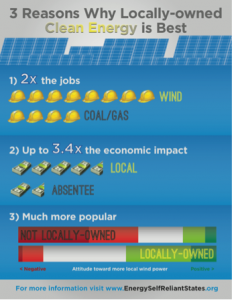 Local renewable energy provision: In order to safeguard local labor resources, unions have the opportunity to play a pivotal role in championing public-public partnerships. South Dakota Wind Partners is a publicly offered energy company founded by the South Dakota Farmers Union. The union was able to partner with several community organizations to leverage public investments in order to provide and maintain a 10.5 MW wind farm. This partnership is especially beneficial to the local farmers because the partnership is able to provide cheap, clean energy while also shaping policies that protect farmers’ land rights. There are many examples of P3s successfully providing public infrastructure and services. But it is also important for those in the public realm to be aware that there are other models to consider when choosing the right partnerships for implementation. When implemented successfully, PPuPs not only can provide services cost effectively and equitably, but also have the ability to strengthen community capacity and public trust.